Most people are familiar with the stereotypes of Cuba: old cars, salsa music, rum, cigars, picturesque beaches and warm weather. For Cubans who grew up there in the 1990s however, life was much different. Cuba's economy plummeted following the fall of the Soviet Union and the first dozen years of the 2000s brought about rapid changes. So how did these factors affect young people who are now adults? 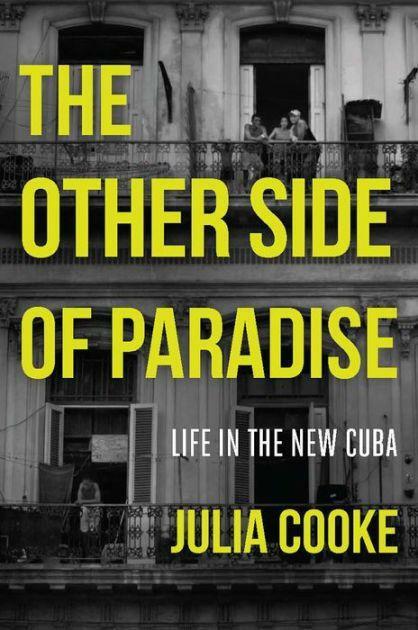 It was a question author Julia Cooke explores in her book "The Other Side of Paradise: Life in the New Cuba", which documents the lives of several young people. “Those specific people I chose because each person I thought offered a window into an aspect of Cuba that I felt like I really needed to understand," said Cooke. The book was published in 2014 just before advancements were made toward restoring better relations between the U.S. and Cuba. That progress was abruptly halted in the fall of 2016 following the U.S. presidential election. "I learned a while ago not to really try to guess at what the future holds at Cuba, because at almost every turn, something happens to foil it," said Cooke. "If you had asked me four years ago how bright I thought the future was as Barack Obama and Raul Castro were engaged in their really historic thawing of relations, I would have spouted something completely different that what I would say right now." Cooke will be in Bowling Green on March 14th to discuss her book as part of WKU's International Year of Cuba. WKU is hosting a book club so that "The Other Side of Paradise" can be read together and discussed. Cooke spoke to WKU Public Radio via Skype.